On 17th and 18th March, 2015, Shz. Dr. Aziz bhaisaheb and Shz. Dr. Bazat Tahera baisaheba were invited to participate in two consecutive academic conferences in Kolkata: (1) “Cultural Relations between the Perso-Arab World and India through the Ages”, hosted by the Asiatic Society of Kolkata in collaboration with the Department of Arabic and Persian, Calcutta University; and (2) “Arabic and Persian Accounts of Maulana Abul Kalam Azad” hosted by Calcutta University in collaboration with Maulana Abul Kalam Azad Institute of Asian Studies and the National Library of India. The Qutbi Jubilee Scholarship Program (QJSP) was one of the sponsors for the event. 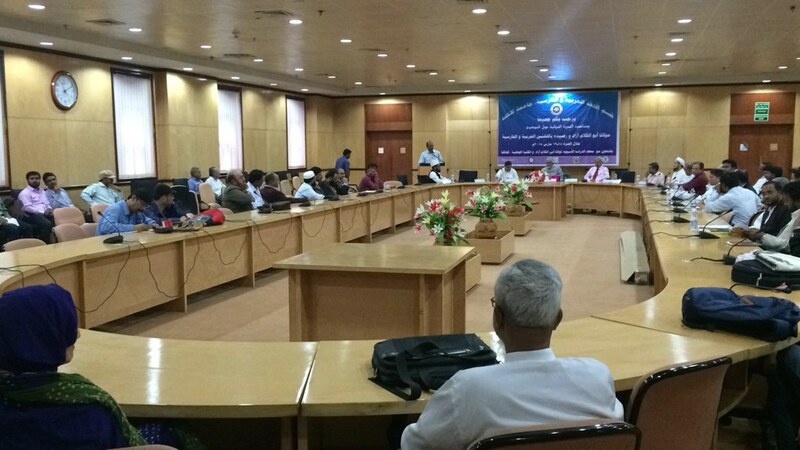 The conferences were attended by scholars of Islam from major academic institutions of India with vibrant departments of Arabic and Persian, including Aligarh Muslim University, Mumbai University, Jawaharlal Nehru University, Delhi University, Barakatullah University in Bhopal, Assam University, and the English and Foreign Languages University in Hyderabad. Also in attendance were scholars from the University of Oxford, United Kingdom, and Irbid, Jordan. On 17th March in the conference on Cultural Relations between the Perso-Arab World and India, Shz. Dr. Bazat Tahera baisaheba spoke on, “Arabic in India: A Survey and Classification of its Uses Compared with Persian.” Presenting a side-by-side history of Arabic and Persian in India, she discussed how Persian---a language that held sway for several centuries in the subcontinent as the Mughal court’s main language of administration and culture—has in the twenty-first century lost its relevance to the general public because its administrative and cultural contexts have changed; while Arabic—because it is linked integrally with Islam and the Qur’an—continues to maintain its strong significance. Shz. 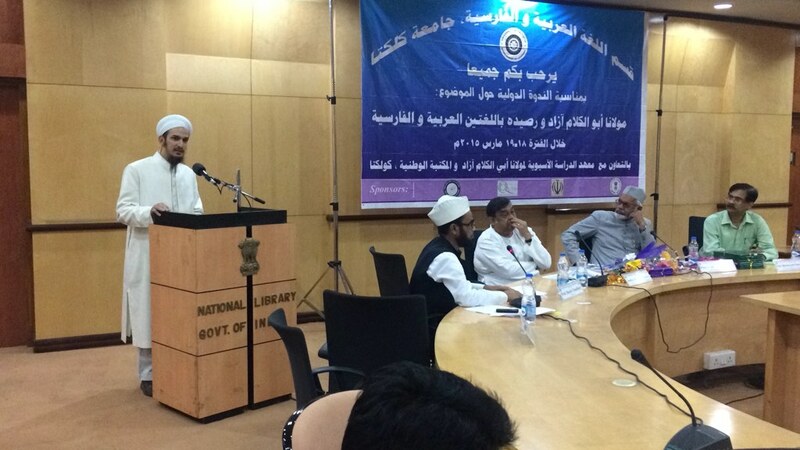 Dr. Bazat Tahera baisaheba expressed pride in the fact that among the Muslim communities in India, the Fatimid-Tayyibi community, known in India as the Dawoodi Bohra, has a rich tradition of Arabic scholarship. Speaking particularly of the 51st, 52nd, and 53rd Dais, Syedna Taher Saifuddin RA, Syedna Mohammad Burhanuddin RA, and Syedna Khuzaima Qutbuddin TUS, she recounted their immense learning and the precious heritage of Islamic Arabic scholarship they had bequeathed to India. Shz. Dr. Bazat Tahera baisaheba was also invited to chair an academic panel. She ended the session by saying that she was happy to have the opportunity to engage with scholars of Arabic and Persian from the great institutions of India, and that she hoped the bonds of intellectual engagement and friendship in Islam forged today would continue. Shz Dr Bazat Tahera Baisaheba was also invited to speak in the Valedictory Session, where she said that, “we can take immense gratification both in the treasure of Islamic, Arabic and Persian works our forebears have left us, and also in the treasure embodied in our bright, capable, and hardworking students.” She prayed for their success, and that they may carry the bright torch of knowledge forward with truth and integrity. Shz. Dr. Bazat Tahera baisaheba’s presentation and remarks were received with much appreciation, and fellow scholars were particularly pleased to see a Muslim lady engage at the highest level in the national and international academic community. On 18th March, Shz. Dr. Aziz bhaisaheb was invited to speak in the Inaugural Session of the conference on the legacy of the great Indian freedom fighter, educationist, and Arabic-Persian-Urdu scholar, Abul Kalam Azad. Professor Isharat Ali Molla, head of the Arabic and Persian department at Calcutta University introduced the Inaugural Session. The session was also presided over by Professor Syed Kafeel Ahmad Qasemi, Dean Faculty of Arts at Aligarh Muslim University. Justice Altamash Kabir, former Chief Justice of India, delivered the keynote address. Other members of the panel included Professor Mohammad Badiur Rahman, former head of the Arabic and Persian department at Calcutta University (welcome address), Professor Dhrubajyoti Chathopadhyay, pro Vice-Chancellor of Calcutta University (chief guest), Shri Sitaram Sharma, Chairman of the Executive Council at Maulana Abul Kalam Azad Institute for Asian Studies, MAKAIAS(guest of honour), and Professor Samir Das, Dean of the Faculty of Arts at California University. Professor Isharat Ali Molla introduced Shz. Dr. Aziz bhaisaheb with heartfelt affection and respect as the Director of QJSP, an institution founded by His Holiness Syedna Khuzaima Qutbuddin, 53rd Syedna of the Dawoodi Bohra Community. Professor Isharat Ali recounted Shz. Dr. Aziz bhaisaheb’s high academic qualifications including his Ph.D. in Arabic literature from London University, SOAS. 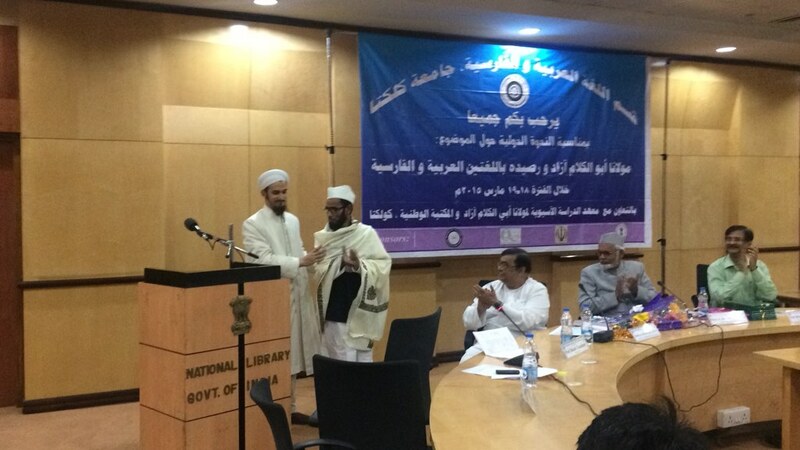 Professor Isharat Ali expressed gratitude for QJSP’s sponsorship of an annual scholarship for a Calcutta University student, belonging to any race, religion, caste, creed, or gender, from any department of study (not just Arabic and Persian, but those as well as Science, Mathematics, Engineering, Accounting, and all other disciplines). Praise be to God, who raised the stations of the believers through knowledge, making it the source of barakaat and bliss for spiritual and worldly life. May he shower salawaat on his Divinely Learned Messenger, his wise progeny, and his auspicious companions. The distinguished audience members expressed great appreciation for Shz. Dr. Aziz bhaisaheb’s speech. Justice Altamash Kabir, in the context of Azad’s vision and the importance of education, referenced in his own address, “the lecture by the son of the present Syedna.” Following the Session, Shz. Dr. Aziz bhaisaheb and Shz. Dr. Bazat Tahera baisaheba spoke with Justice Kabir. They presented him with a copy of the Golden Panorama and Treasury of Virtues, for which he expressed appreciation saying the best gift was a book. He was especially happy to learn that 30% of QJSP scholarships are earmarked for female students. We mumineen are immensely proud that our beloved Aqamola’s vision and efforts are inspiring mumineen, muslimeen and ibadullah. May Allah Taala keep Maulana in His hifazat, kilayat and ri’ayat, and may He grant our beloved nation of India peace, progress and prosperity. Photos of the event and a video excerpt of Shz Dr. Aziz bhaisaheb’s speech is presented on Fatemidawat.com.